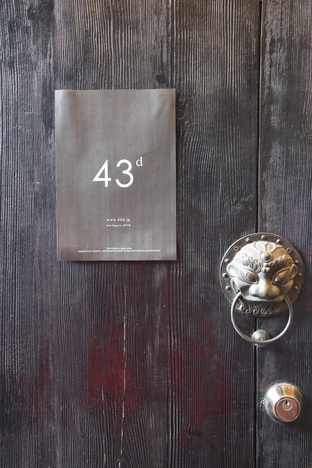 In Shanghai, the epicenter of the Asian art market, the many art zones called “art district” has been born. Many artists, designers and art dealers from not only China but also all over the world are struggling its creativity for survival. On April 25th, a summery day with the temperature over 30°C, Hokkaido & Shanghai Asia Creative Forum was held at “The Cool Docks/ Lao Ma Tou”, the bayside area in Shanghai South Waitan. The forum aimed to attract businesses to Hokkaido, whose appeals are confined to food and nature, through cultural point of view and encourage business matching of creative industries distributed from Hokkaido with Asian companies. 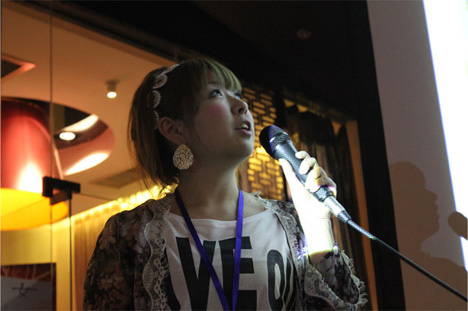 As its kickoff, the leaders in the field of design, music and fashion representing Hokkaido gathered as presenters. 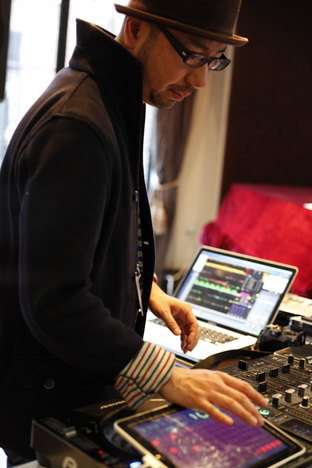 The sound artist Junichi Oguro from Sapporo performed an opening act. 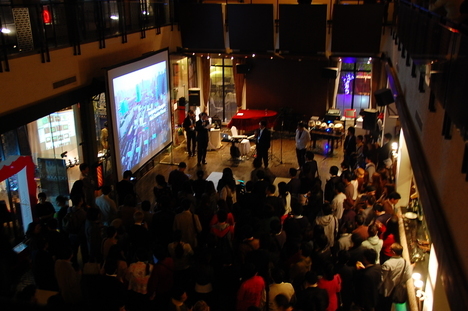 Along with the sound collected from the city of Shanghai with filed recording, the mixed view of Shanghai and Hokkaido projected on the screen enriched the event. 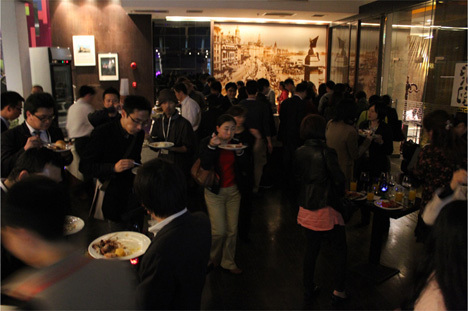 Around 18:30, at the time of the opening, the venue limited to 150 people were fully packed. 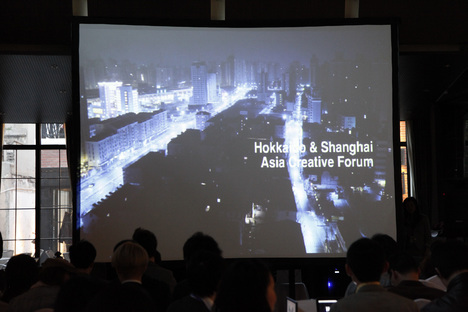 After the greeting of Kenta Torimoto, Editor-in-chief of SHIFT China and Moderator of the forum, the presentation titled “Session 1 Introduction of Creative Hokkaido” started. The presenters were Kudo and Nakanishi, the graphic unit representing Sapporo named Wabisabi, Miwa Yokoyama, Head of Thanks Giving Makeup working with the concept of expanding the joy of makeup, Daisuke Sasaki, Head of Noble Savage directing the fashion event such as Sapporo Collection, and Hiroyuki Ito, President of Crypton Future Media, Inc, developer of the Vocaloid software “Hatsune Miku” which is now internationally well-known. 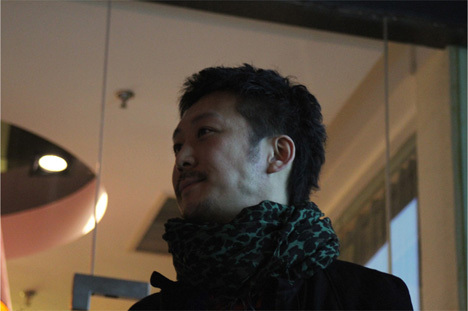 The graphic unit Wabisabi introduced their activities focusing on their works. Secondly, a makeup artist Miwa Yokoyama introduced her work such as the event at Rising Sun Rock Festival. Following that, Daisuke Sasaki, the head of Noble Savage, the producer of Sapporo Collection presented. He participated this forum finding his time in the busiest moment right before the opening of Sapporo Collection. 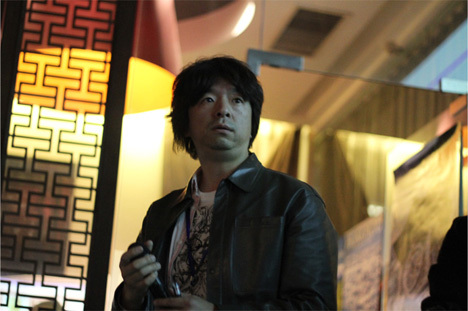 The final presenter of Session 1 was Hiroyuki Ito, the head of Crypton Future Media, Inc, who developed the Vocaloid software “Hatsune Miku” which has an enormous popularity in China. 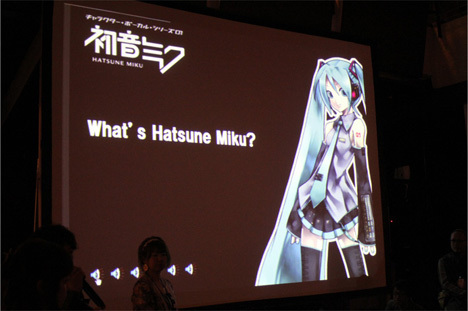 “Hatsune Miku” is very well recognized in China. 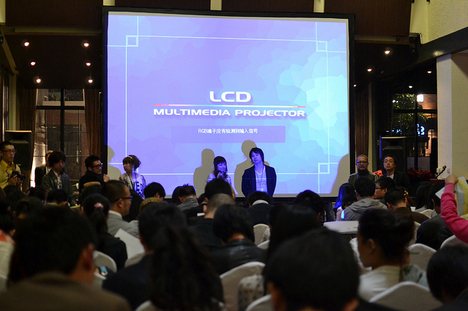 The visitors were very keen on the product and there were many questions, such as the release schedule of Chinese version during the Q&A session after the presentation. After the Session 1, the chairs were removed and the place was changed into an event hall for “Session 2 Buffet & Music”. The dinner using the food products and drinks from Hokkaido and the music accelerated the exchange between participants. 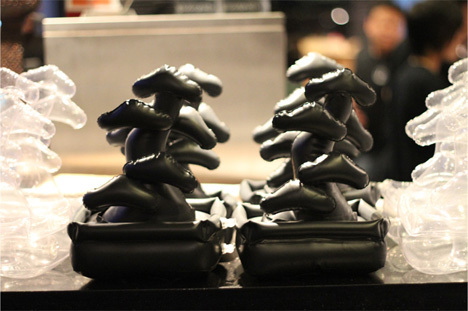 A balloon Bonsai by Wabisabi was given away for each visitor of the night. During the Session 2, Miwa Yokoyama who gave a presentation at the Session 1 did visitor’s makeup and enjoyed a good reputation. 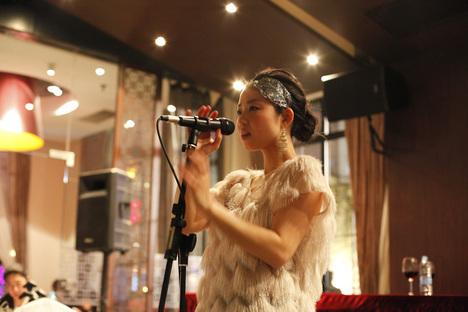 While people were chatting over the dinner, the live performance of the singer HITOMITOI suddenly started and her great voice captivated the audience. 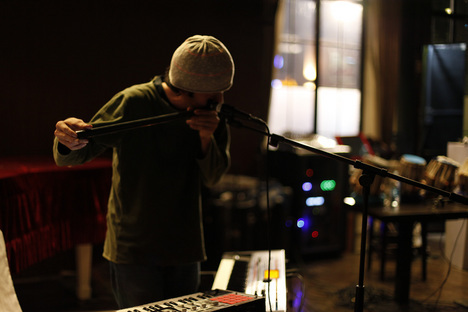 The air of excitement heated up more when Kuniyuki Takahashi, a sound artist representing Sapporo played improvisation music using various instruments. For this forum limited for 150 visitors, there were several times more applicants. It has long been said that the center of Asian art scene is China, but the forum showed the interest toward Japanese culture is still ongoing or even increasing. There were many voices from visitors telling the event was meaningful. 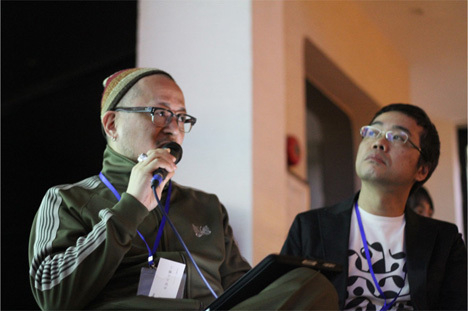 But at the same time, there were many comments to develop the future; “For further business matching, the aspect of food and nature should be included”, “Not just introducing the culture of Hokkaido, there should be collaboration with Shanghai artist”, “Chance to develop the businesses in more practical level is expected for the next round”. In order for Hokkaido and Sapporo to build the regional partnership and survive the competition, how do we illustrate the local aspect in the context of both culture and history? How do we maintain the originality using the creativity based on local? And how do we bring things forward with keeping our eyes on the movement in each market? The forum was very meaningful to answer those questions and to bring out the agenda for Sapporo to survive as creative city. 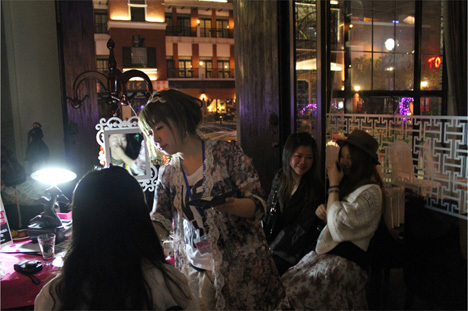 On the next day of the forum, Miwa Yokoyama organized the Makeup Tour at the Raffles City in NanJing East Road. Even in the center of the Shanghai, the interest in the trend of Japanese makeup was huge and a lot of people enjoyed Yokoyama’s makeup.